Before the Second World War, Vienna stood side by side with Paris and London in importance, beauty, and power, thanks to its status as a major transit point between Western and Eastern Europe. The rich and elite of Europe vacationed here while the poor viewed it as an opportunity to escape their miseries. Here, artists and composers sought inspiration and revolutionaries ironed out their plans and theories. Vienna, however, has not always been considered such a romantic destination. The city found itself just a few miles from the Iron Curtain during the Cold War. Hence, trade ceased with the East, and foreigners found little reason to visit a war-torn city. However, with the sudden popularity and growth of the Eastern Jewels (Budapest, Prague, and Kraków), Vienna rediscovered its role as a gateway. In-transit tourists, as well, have rediscovered Vienna’s old-world charm, often making an unexpected extended stay. There is no better time than now to visit this magnificent city. People traveling to Vienna looking for fin-de-siècle architecture and a relaxed atmosphere will not be disappointed. Imagine a city shaped by artists and composers 150 years ago. Huge palaces seem to appear on every major street corner, and the sky is pierced with towering church steeples. The buildings along the Ringstrasse seem to offer a bit of every European building style, from the medieval Rathaus, Gothic Stephensdom, to the Greco-Roman parliament building. Visitors quickly embrace the old-world style of Vienna. The streets are lined with quaint shops, cafés, and bakeries. Men are still gentlemen, while women still dress themselves up before strolling around town. The locals are generally conservative, well educated, and well mannered. They will notice you looking at a map or deciphering a sign, but are too polite to bother you. However, if you ask them, then you will find that most Viennese speak a bit of English and are happy to help a traveler. Austria uses Central European Time (CET). Hence, clocks are one hour ahead of Greenwich Mean Time (GMT) and six hours ahead of Eastern Standard Time (EST). Currency is the Euro (EUR). The notes are in denominations of 500, 200, 100, 50, 20, 10, and 5 euro. The denominations of coins are 2 euro, 1 euro, 50 euro cent, 20 euro cent, 10 euro cent, 5 euro cent, 2 euro cent, and 1 euro cent. Vienna experiences quite pleasant weather during the summer. However, winters can be cold and icy, so be prepared by bringing warm clothing and high-grip shoes. Customs have become even easier with membership in the European Union. EU citizens need an ID card, while all others require a valid passport. Americans can stay in Austria without a visa for up to 90 days. However, arrivals from neighboring EU members (Germany, Italy) are rarely checked, regardless of citizenship. Austria uses 220 volts AC and the continental-style plug. If your appliance has a 120/240-volt switch, all you will need is a plug adapter. Otherwise a current converter is required. Pay attention to sockets in bathrooms and on trains marked “Shavers Only!” While these put out 110 volts, they will burn out with a more powerful appliance. Offer a 10-15% tip to taxi drivers and attendants at theatres and cloakrooms. Restaurants and cafés are generally ‘Bedienungszuschlag inbegriffen’ (service included). Vienna service staff, however, seem to ignore this and expect something extra. Austria is no different than the rest of Western Europe. Business attire, of course, consists of suits for both men and women. Outside business hours, Austrians are generally casual dressers, with young people often wearing shorts and t-shirts. A jacket and tie are usually worn to exclusive restaurants and for a night out at the theatre or opera. Address people by their title, and offer a handshake. Take a small gift of wine or chocolates if you are invited to someone’s house. Austrians are renowned for their law-abiding traits, and this is most evident in their polite driving habits. Roads are well-marked Drivers in Austria require their national driving license, all relevant car documents, and proof of car insurance. In addition, all vehicles require a first-aid kit. Keep in mind that all of Austria’s highways are toll roads. Tickets are available at border crossings and must be presented on demand to avoid a fine. Vienna has an excellent subway system that is very easy to understand. Buy tickets from machines in subway stations. Be sure to purchase normal tickets, and not discounted ones, even if you have an international student ID. The buses and trams use the same tickets. Large maps are near every tram stop detailing routes throughout the city. 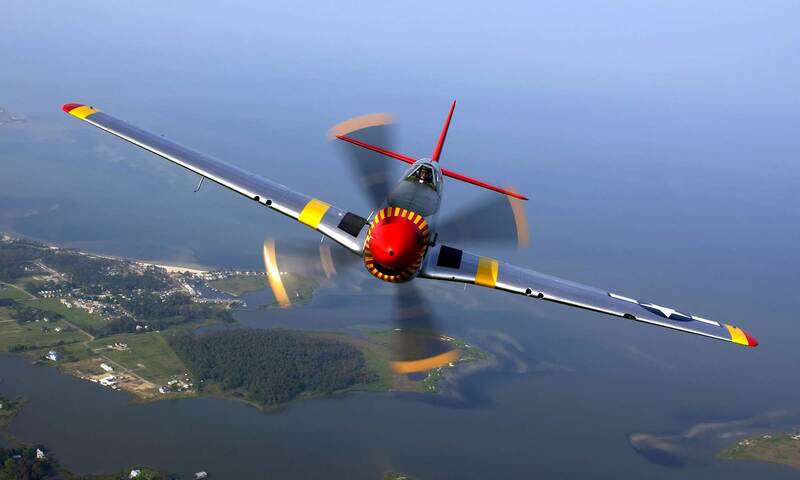 Day tickets are available, and are a good buy if you plan to see a lot of sights. Cyclists, rejoice! Vienna’s streets are very bicycle friendly, and offer a perfect way to see the city in no time. Rent bicycles at the Westbanhof. Taxis in Vienna are nearly impossible to hail. Try taxi stands in front of hotels. 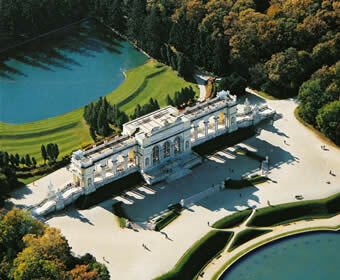 The biggest attraction in the Western part of Vienna is the summer palace. Sometimes called the “Versailles of Vienna”, this huge Baroque residence has more then 1400 rooms and grand formal gardens. Two tours that guide visitors through 100+ rooms are available. However, the palace itself is a minor attraction compared to the entire property. The palace grounds also include a terrific zoo, marvelous tree-covered paths, and Roman ruin Follies. Open from Nov – Mar, daily 08:30 – 16:30 and from Apr – Oct, daily 08:30 – 17:00. St. Stephan’s gothic structure seems a little out of place among the modern glass and steel buildings lining the Stephansplatz. However, it’s the things that stand out that make it such an attraction. For one, the 390-foot tower can see seen from all over the city. Climb to the top of the spire to see the tiled roof. The colorful tiles are laid out in such a way as to create pictures. Take the tour through the catacombs and see neat stacks of skulls and bones, open Monday through Saturday, 9-11:30a.m., and 12:30-4:30p.m. Sunday 1-4:30p.m. Tours begin every 30 minutes and cost 40 ATS. The impressive museum contains the Royal treasury, which includes the 10th centuryn crown of the Holy Roman Emperor and a lance, which legend says is the one that pierced Jesus’ side (actually only 1000 years old). This small room is where the World Famous Vienna Boys’ Choir sings for Mass. Obtian free tickets for standing room only from 8:30a.m. September through June. Sundays at 9:15a.m. This is where the famous Lippizaner horses train and perform dressage. While the school is closed in July and August, make an effort to see their shows and training sessions. Tickets are 240-800 ATS for a seat, and 190 for standing room only. Training sessions are Tuesday through Saturday, 10a.m. to noon. Tickets are 100 ATS. Be sure to reserve in advance. This 8 mile long island is located in the middle of the Danube. Originally built for flood control, it is currently dedicated to leisure activities. Nom motor traffic is allowed on the island, but it is easy to reach on foot or bicycle. The U1 subway also serves the island. From here, you can see the third headquarters of the United Nations. During the summer, Viennese escape the city and head to the island for some sun and fresh air. This famous Baroque landmark dominates Karlsplatz. Emperor Karl IV commissioned Austria’s best architect, Fischer von Erlach, to build this monument to the eradication of the plague in 1713. Lukas von Hildebrandt built this palace for Prince Eugene of Savoy between 1714 and 1723. The structure is actually two baroque buildings separated by 500 meters of gardens. It now stands as a museum displaying the royal apartments, gardens, and art galleries. Many people flock to these buildings, since Klimt, Schiele, and Kokoschka all had a room here. Open Tuesday through Sunday 10a.m. through 5p.m. Admission to the buildings are 60 ATS. This building is by far Vienna’s most unusual apartment building, and a popular tourist destination. Architect Friendensreich Hundertwasser built this childlike house, keeping in mind that “the straight line is godless.” Hundertwasser also designed the garbage-burning tower in the ninth district. Look for the golden onion pierced on the blue tower. Sigmund Freud moved to this apartment with his family in 1891, and lived here until 1938, when he felt to London. Freud took most of his possessions with him, but the building is still a major point of pilgrimage. Open July through September, 9a.m. to 6p.m. October through June, 9a.m. to 4p.m. Admission is 60 ATS. With impressive exhibits of Egyptian, Greek, Roman collections, German renaissance, and paintings by Rubens, Velázquez, Rembrandt, and Caravaggio, this museum stands as one of the best in the world. The real crowds, however, come of the collection of Bruegel the Elder. Open Tuesday through Sunday, 10a.m. to 6p.m., and Thursday 10a.m. to 9p.m. Admission is 100 ATS. This large segment of parkland offers a glince at a slightly seedly but nevertheless interesting side of Vienna. There you can visit the Riesenrad and ride one of the oldest Ferris Wheels in the world. Operating hours vary throughout the year, but the park generally opens at 9a.m. and closes between 10 p.m. and midnight. Catch High-class opera and ballet here in what people consider to be one of the best opera houses in the world. Other venues include Musikverein “Elizabeth”1, Karlsplatz, home of the Vienna Hilharmonic, and Konzerthaus, 3, Lothringerstrasse 50. Volksoper, 9, Währingerstrasse 78, is good for slightly-kitschy operetta. Check schedules and buy tickets at Bundestheaterkassen 1, and Hanuschgasse 3. This group offers tours of the city specifically for children. Best of all, the tours are available in languages besides German. Balls take place at many beautiful locations across Vienna, including the Wiener Opernball on the last Thursday of February at the Staatsoper. This is considered the most important social event of the year. Watch as skaters whisk around on the square in front of the City Hall. The city celebrates the opening of the Prater. The city celebrates its achievements as a European art and music city with expositions of music, opera, films and other exhibitions. There is free admission to the opening ceremony at the Rathausplatz. Fascinating musical events in the beautiful surroundings of the Schönbrunn castle. Europe´s largest pop-music festival takes over Vienna for an entire weekend! Listen to hundreds of bands as you wander through the carnival atmosphere. Best of all, admission is free! The Vienna Jazz Festival is held every year at the Staatoper and on Donau Insel, drawing acts and artists from all over the world. It has become one of the leading jazz events in the world. Visit www.viennajazz.og for more information. Take advantage of this free festival! Kiosks offer up a good selection of international cuisine as you watch open air classical music films. From the famous “Magic of Advent” and Viennese Christkindlmarkt at the Rathausplatz to the romantic Christmas markets at the Spittelberg and Schönbrunn castle. Vienna holds an international equestrian and jumping tournament in the Wiener Stadthalle. Experience Viennese tradition by attending the midnight Christmas Eve mass at St. Stephen’s cathedral. Devout Catholics and others pack the building for a magical ceremony. Get there early for a seat. Of course, the mass is held in German.